You are now entering some of the hardest years of your life where it's going to be difficult to process your thoughts and feelings. Friends will hurt you and make you feel like you do not belong. You will feel ugly, frustrated, and angry. In turn, you will hurt those around you. I know you are questioning your beauty and worth. Please know that you were made, as you are, for a reason. Take care of your body. Although you see your legs and arms as fat, I see them as powerful. This will come in handy so many times throughout your life. They will give you the strength and endurance you need for the adventures coming your way. Limiting what you are eating will not help your body or mind. You need those nutrients to fuel that amazing brain of yours and to help with all the new sports and activities you will come to enjoy. Think about what you are putting into it, you really don't want to become addicted to something that gives you short-term joy. It does not make you look cool and real friends won't make you try something you don't want to. You are a beautiful person, inside and out, and your smile is one of my favourite things. Make sure you invest in your internal beauty; love, joy, peace, patience, kindness, gentleness and self-control. These characteristics far outweigh and outlast physical beauty. You have been given different gifts and abilities, and even if you can't see them yet, just wait, you will enjoy discovering them over all of the years to come. Your family loves you very much. Do not be afraid to open up to them as they are there for you and will support you through anything. 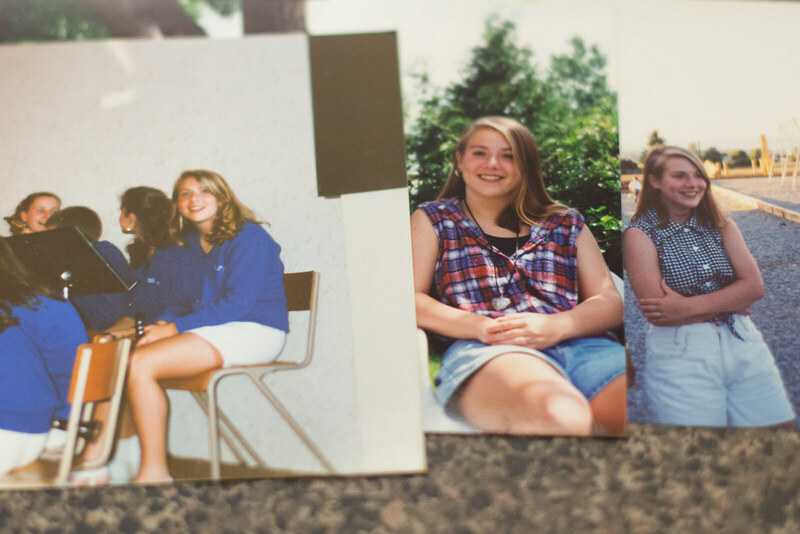 They were teenagers once too, even if they seem so old and uncool right now. Don't try to get validation from the boys around you; you do not need their approval or desire. They are struggling too. Eventually you will recognize all that you have to offer, and consider all that you desire, in a relationship. Be patient. I promise that things will get better. I promise. You will find your place, gain confidence, and you will feel loved and known by yourself and others. You will become passionate about certain subjects and hobbies. These new loves will allow you to explore, wonder, grow and express yourself. There is so much more to you that you do not even know about yet. Pretty cool, right? Please be loving and kind to everyone around you. Think about your words and let them be supportive and encouraging. Tame that critical tongue. Putting someone else down will never make you, or anyone else, feel any better. In fact, it will make you feel worse. Life will not always be easy or fun, but it is such a gift and there is so much more for you to experience and enjoy. Try to focus on all that you do have, rather than what you do not. If you have trouble coming up with your strengths, ask your parents, and they can tell you. They know you so well even if you think they just have no clue what it's like to be 12. You can do it. I know you can. You can do it well. Life gets way better. Your 36-year-old self (who no longer cares about the size of her nose). "Sometimes the most dangerous thing for kids is the silence that allows them to construct their own stories–stories that almost always cast them as alone and unworthy of love and belonging"–Brene Brown. Ephesians 2:10: For we are God's workmanship, created in Christ Jesus to do good works, which God prepared in advance for us to do. Carol, thank you for always encouraging me! Very well said! 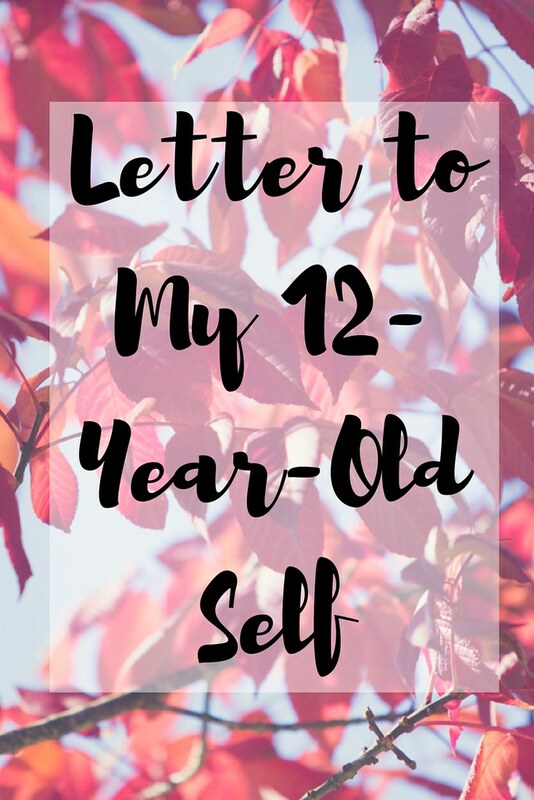 If only all 12 year olds could read a letter from their adult selves. Such a nice exercise. It would be so amazing if 12 year olds could imagine what their 36 year old self might say to them.